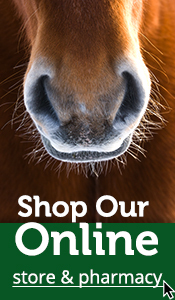 Owning a horse can be a big investment in time, money and emotion. That’s why it is so important to investigate the horse’s overall health and condition through a purchase exam conducted by an equine veterinarian. Whether you want a horse as a family pet, a pleasure mount, a breeding animal, or a high performance athlete you stand the best chance of getting one that meets your needs by investing in a purchase exam. 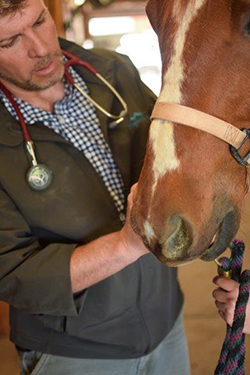 Use an experienced equine veterinarian. Dr. Maker has over 20 years in equine medicine and is familiar with the english and western breed sport horses and their disciplines. The exam will begin with a thorough understanding of your expectations and primary intended uses for the horse, including short- and long-term goals (e.g., showing, then breeding). We provide written estimates on all examinations, radiographs and drug screening testing prior to starting the exam. We ask when possible that all buyers or their agents/trainers be present during the purchase exam. The seller or agent should also be present. We treat all findings confidentially with respect to the standards of human medical records. Be sure to ask questions or request further information about your veterinarian’s findings. Lastly remember our job is neither to pass or fail an animal. Rather, it is to provide you with information regarding any existing medical problems and to discuss those problems with you so that you can make an informed purchase decision. Your veterinarian can advise you about the horse’s current physical condition, but he or she cannot predict the future. The decision to buy is yours alone to make. Our goal is to be a valuable partner in the process of providing you with objective, health-related information. All findings are prepared in a written report for you to keep in your horses record and refer to at a future time.